The wood has arrived and I’m on the drawing board (“old school style” – not a CAD program in sight!) 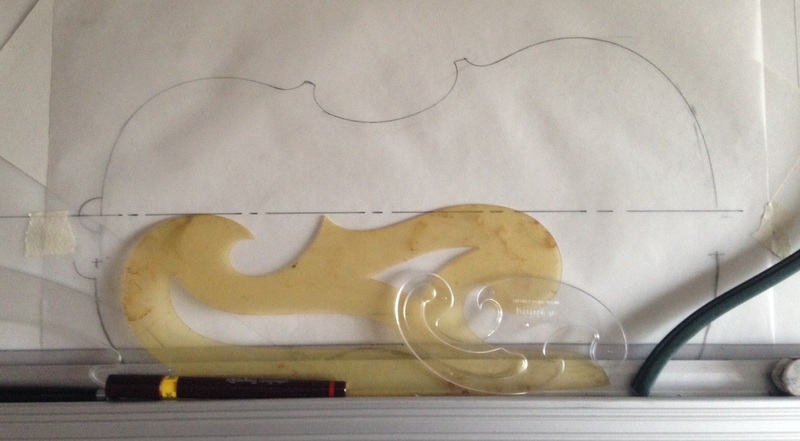 designing the shape of the violin I’m making myself. Inspiration is some of those slightly idiosyncratic 18th C English fiddles!